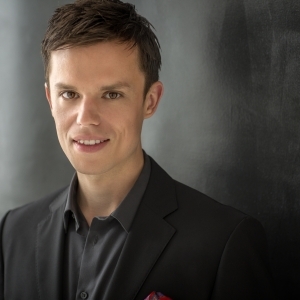 Canadian pianist and vocal coach Bryan Wagorn serves as Assistant Conductor at The Metropolitan Opera, and regularly performs throughout North America, Europe, and Asia as pianist, chamber musician, and recital accompanist to the world's leading singers and instrumentalists. In the 2013-2014 season, Mr. Wagorn made his Metropolitan Opera debut as Assistant Conductor in their new production of Falstaff. He has performed with James Levine and the Met Chamber Ensemble at Carnegie Hall as solo pianist and chamber musician, and in recital for the George London Foundation, the Marilyn Horne Foundation and Richard Tucker Foundation, and also serves on the music staff of the Glyndebourne Festival. At the Metropolitan Opera he has worked on productions with singers including Anthony Roth Costanzo, Placido Domingo, Anna Netrebko, Renee Fleming, Feruccio Furlanetto, Nadine Sierra, and most of the world's leading operatic singers. A participant at the Marlboro Music Festival, Mr. Wagorn has also been engaged as Staff Coach at the Ravinia Steans Music Institute, and has served on faculty of the National Arts Centre Orchestra’s Summer Music Institute directed by Pinchas Zukerman. He made his solo recital debut at New York's Carnegie Hall in 2009, and has since made over a dozen Carnegie Hall appearances. He has performed two extensive tours with Jeunesses Musicales de Canada, and performed chamber music with members of The Metropolitan Opera Orchestra and the New York Philharmonic. He recorded with Elmira Darvarova and Philip Myers a disc of Brahms and Amanda Maier for the Urlicht label. Mr. Wagorn holds degrees in piano performance from the Royal Conservatory of Music in Canada, and the University of Ottawa (Bachelor of Music), the Mannes College of Music (Masters of Music), and the Manhattan School of Music (Doctorate of Musical Arts). He is a former graduate of The Metropolitan Opera Lindemann Young Artist Development Program.